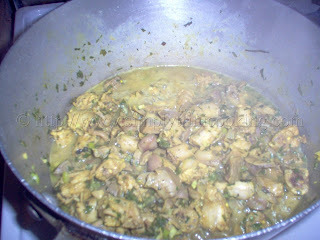 This is another method of geera – ing meat. The last time, I showed you all how to do this using pork. This time I chose to use chicken because not everyone eats pork. 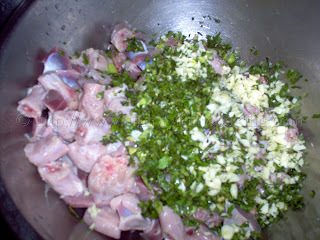 Usually, when doing geera chicken, we use mostly back and neck, or gizzard the more bony parts that allow the flavour to really be infused into the meat. But you could try it with the less bony parts as well , like the breast or leg etc. Basically the difference between the two methods is when you put in the geera; some people put it before, when they’re seasoning the meat or after, just before it is done. 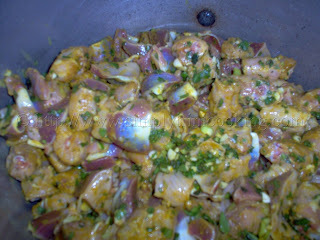 Because of this the recipe is not that different, well except for the curry it is just the method. 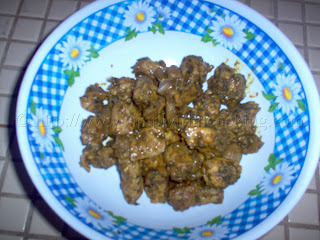 So here is Geera Chicken. Saute the other two cloves of garlic in some oil and add the meat. Add water and allow meat to cook. When almost done, add the geera and mix well. That’s how simple this dish is to make. As always, I encourage you to experiment with the dish if you don’t have some of the herbs that we have. 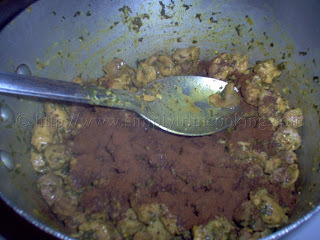 This could be served just like the geera pork with hops bread or sada roti or bake or anything else you wish. It can even be eaten alone by itself. It’s all up to you. I hope you enjoy it as much as I do. Tomorrow I’ll take a rest and start my week of posts on Monday. Until then, Bye! does the hot pepper have to be chopped? or is it dropped in whole? Chopped or whole. It depends on how hot you want the geera chicken to be. excellent recipe! i followed it once before, and today as well…finger licking good!lol thanks for the generous information provided, to making this pot a success!im trini, ut i live in Canada, and it sure is a treat, to make this for my husband,as he is jamaican, and he seems to take to this style of chicken! thanks again! Just substitute the meat for the soya. Make sure you soak the soya chunks and season it etc. Thanks a lot for your recipe! the recipe seems easy to follow, will try soon. Thanks for the recipe..It worked and tasted well! Hi i wanted to make geera neck which like you said is one of the less fleshy parts of the chicken am i gonna cook it the same way minus the curry? Also can it be cooked in the oven? No just substitute the same amount of chicken neck and continue on with the recipe to the letter. Also, I wouldn’t recommend you baking it since it may dry out and you’ll end up with some really tough chicken neck. If you want to try a geera baked chicken use meatier pieces. Made this today my version. Picked up some Geera at my Caribbean store yesterday. Made it with Chicken Breast since i had to use up lots of freezer meat. Seasoned it with Carib Green Seasoning mix blend i made up and some the usual garlic, onion, tomato, herb seasoning added. 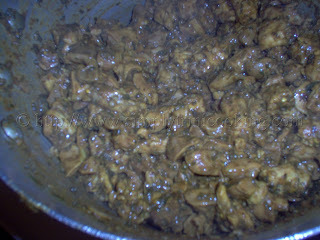 Used 2 tsp Geera and 1 tsp Curry fried mix and then the chicken and everything else stewed in my version. I tasted really good. It sure had a smoky taste to it all from the Geera. Very interesting taste, but was good. Yes made this many times after I followed your step by step recipe and last week it gave me the taste I really wanted. Love your page Felix!